While many adults spend their lives trying to blaze their own stylistic trail to escape their parent's aesthetics, others choose to embrace them. Such is the case for a couple in California, who think of midcentury modern as a family tradition. 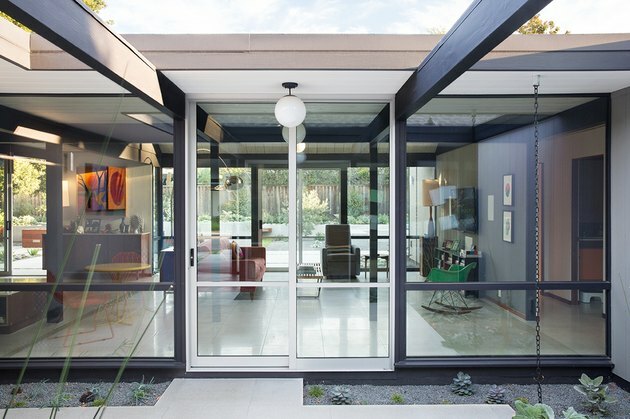 The pair shared a love for the work of real estate developer Joseph Eichler, who built modernist properties in California and New York from the late 1940s to the early 1970s. In fact, one of their mothers had even grown up in one of these coveted designs. 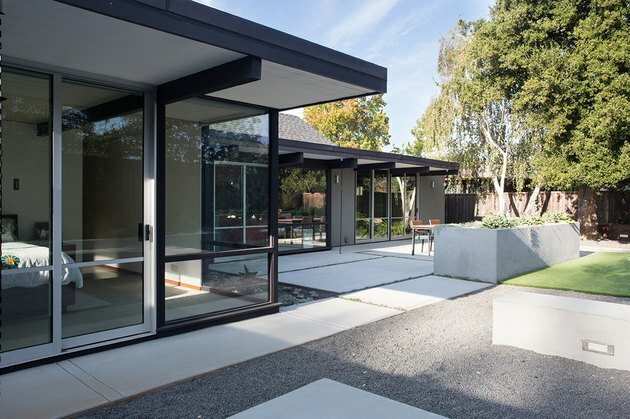 Eager to raise their children in an Eichler of their own, they found a well-maintained model in Sunnyvale and hired John Klopf and his namesake firm to bring it into the 21st century. 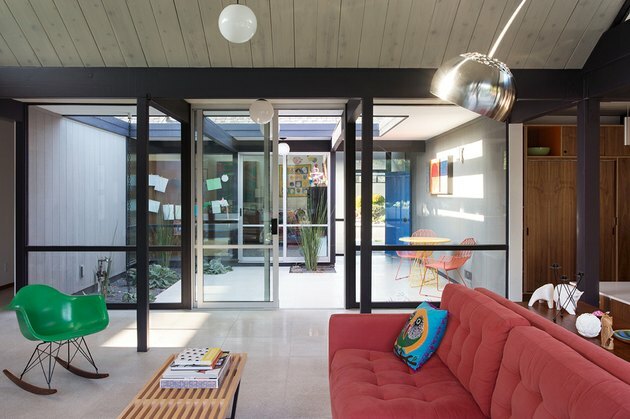 "While they wanted the house to work better for their family and provide a little more elbow room, they also dreamed of living in a warm midcentury modern home with natural wood like the original Eichlers," said Klopf, who has renovated a number of the developer's sites. The firm expanded the home — which included combining the common areas, adding a powder room and office, and enlarging the master bedroom — but kept the materials and architecture consistent with the original structure. Now it seems like the Eichler tradition will continue through the next generation of this family as well. 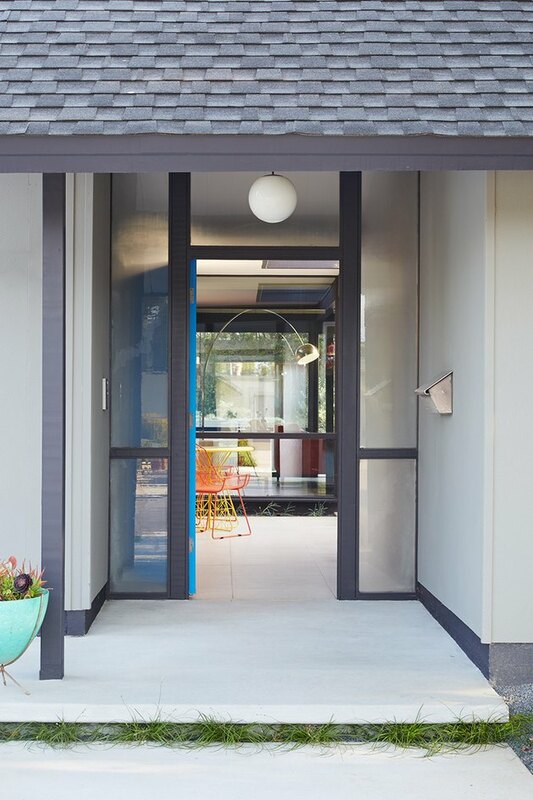 A vibrant blue front door opens to the atrium, a common feature in Eichler homes. The atrium's floor-to-ceiling windows and glass doors add to the indoor-outdoor feel of the house. The flooring is Concrete Collaborative terrazzo tile. 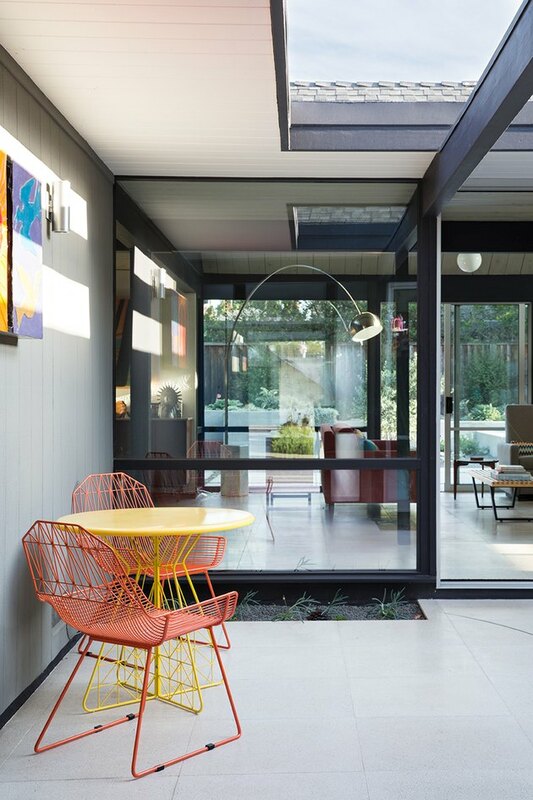 The atrium's vibrant orange chairs by Bend Goods and yellow table bring a colorful contrast to the home's original gray siding. "The clients wanted more openness in their main living space, which had been chopped up into various rooms in the original design," said Klopf. The living area is filled with light from the triangular window beneath the pitched roof, as well as the floor-to-ceiling panes on either side of the space. The concrete floor tiles are reminiscent of the home's original slab flooring. 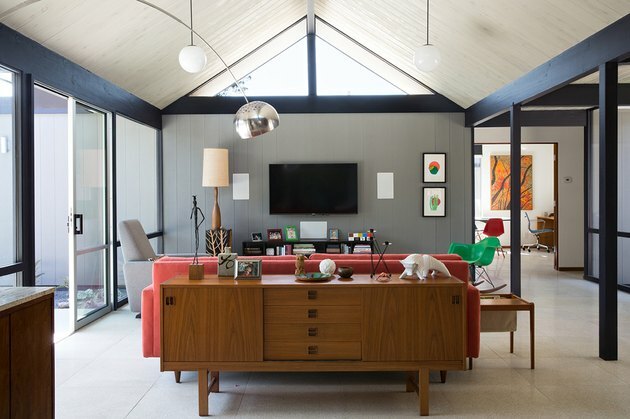 An Arco lamp, an Eames rocking chair, and a George Nelson Platform Bench are among the iconic midcentury furnishings found throughout the home. The kitchen was completely modernized and remodeled. 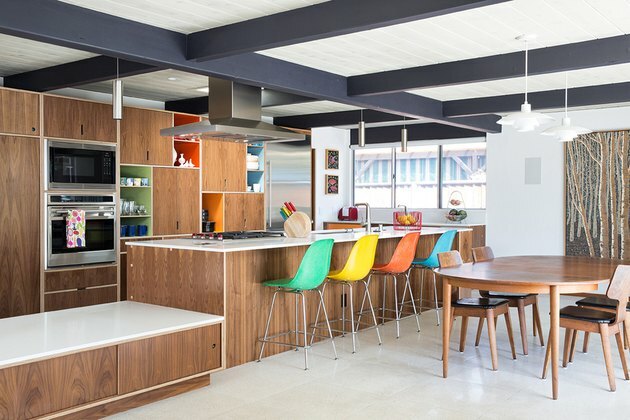 The colorful Kerf Design cabinets are a nod to the Mondrian-style cabinetry that was used in many original Eichler homes. Louis Poulsen PH 4/3 pendant lights illuminate the dining area and Eames stools line the kitchen island. The home originally lacked a substantial master suite, so the firm created an addition that would blend in seamlessly. The custom Fleetwood windows offer views of the backyard, which was planned by Growsgreen Landscape Design. 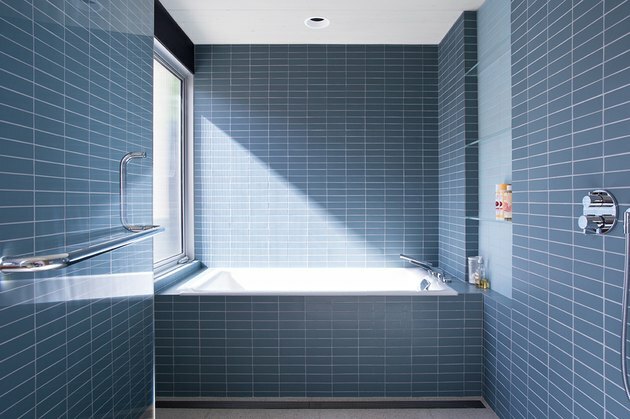 The master bath is lined in a serene Fireclay tile and features a Kohler tub and Dornbracht fixtures.